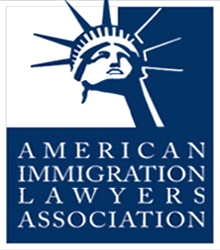 Immigration/Green Card Through Diversity Visa Lottery | Chicago Immigration Lawyer | Bankruptcy Attorney | Personal Injury Law Firm | Ebere N. Ekechukwu & Associates, P.C. Each year, the U.S. Department of State through the Diversity Lottery Program (diversity visa lottery) makes 50,000 new immigrant visas available to natives of countries deemed to have low rates of immigration to the United States. 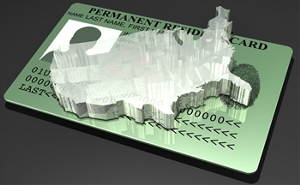 The Diversity Visa Program has been responsible for bringing persons as permanent residents or Green Card holders to the United States who without it would not have the opportunity to come, that is, no family of prospective employer in the U.S. Applicants must be a native of a country that is eligible to participate in the Diversity Visa Lottery. You may also be eligible to apply if your parent was born in a country that is eligible to participate. Winners of the visa lottery must apply for adjustment of status or for immigrant visa at a U. S. consulate overseas. They must have a high school diploma or its equivalent, or two years’ work experience within the last five years in a job which demands two years training. Winners must also complete the immigrant visa process within a specific time frame. Contact the Law Office of EBERE N. EKECHUKWU & ASSOCIATES, P.C. for more information at (312) 362-9844 and we will explain to you the law, procedures, and intricacies involved with the Diversity Visa Lottery Program.